People have plenty of reasons for spending hundreds of dollars and trekking out into a desert to attend Coachella, but stealing cell phones has to be a new one. 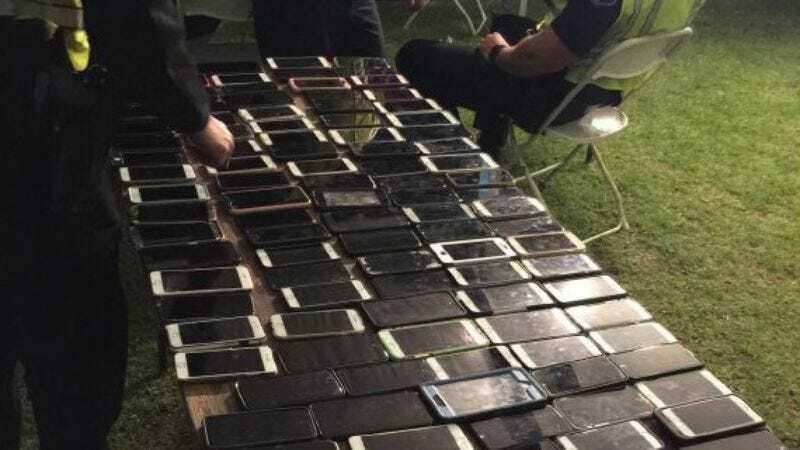 According to a report from the Indio, California police department, a man was arrested on Friday after allegedly stealing more than 100 phones from attendees. Unfortunately for him, several of the victims realized their phones had vanished and, naturally, used the Find My iPhone function to track down their missing devices. The angry mob, who we can only assume were rocking the hottest Coachella fashions, followed the man, Reinaldo De Jesus Henao of Queens, New York, through the venue until security apprehended him. Police later arrived and found his backpack full of phones. Henao was arrested on suspicion of grand theft, and the phones were either returned to their rightful owners or turned over to the festival’s lost and found, potentially saving the hundreds of precious selfies and poorly filmed concert videos contained within.